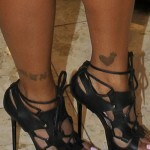 Kelis has an old Chinese tattoo on her right calf that she had it cover with a new saxophone design. Michele Selene Ang has a tiny Chinese symbol tattoo on her right side. 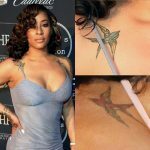 Gloria Govan got a Chinese tattoo along her spine, which means “believe love, family and God”. Kate Del Castillo has a kanji symbol and the words “here now” inked on her left side. Kym Marsh used to have Kanji symbols of unknown meaning running down her spine on her lower back. 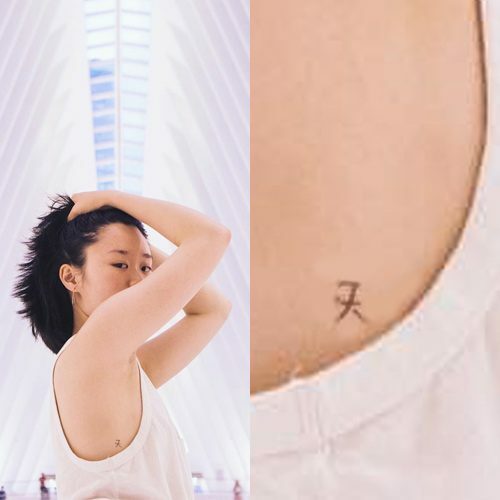 On an interview she said that she got a Chinese symbol ink while they were popular and it was suppose to be a tribute to her first husband, Jack Ryder, but actually it turned out to be totally different and was only pointed out when she was having dinner at a restaurant and the waiter went, ‘Ahh, communist!’. 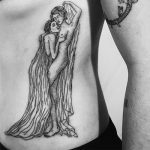 Later after they break up she covered the tattoo with a new ink art piece. Melissa Satta has a chinese tattoo on the back of her neck. 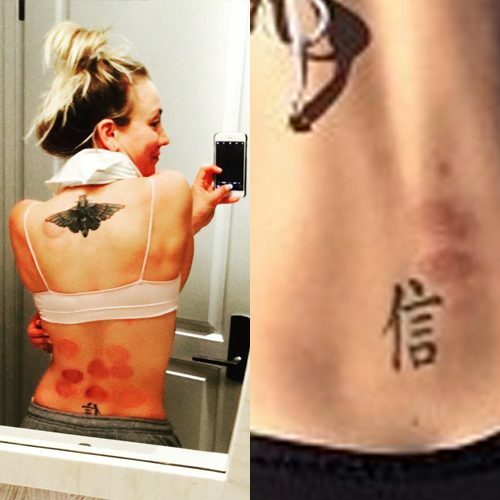 Kaley Cuoco has a Chinese symbol for faith tattoo on her lower back. 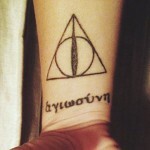 Kaley was only 17 when she got inked. 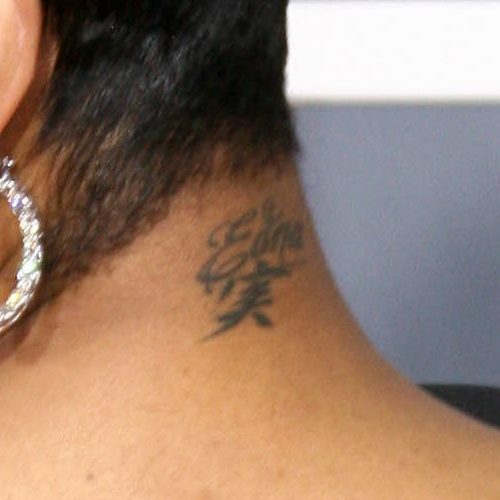 Monica Brown has the name Edna and a Chinese symbol inked on the back of her neck.